Following the two major rail tragedies in past 5 days, Railway Minister Suresh Prabhu along with Chairman AK Mittal on Wednesday taking the full responsibility resigned from the post. However, Prime Minister Narendra Modi has not till now accepted the resignation of Prabhu keeping in on a wait. Two rail accidents happened in past week, in the first incident, nearly 24 people died due to the derailment of the train in Muzaffarnagar and about 74 people have been injured in the collision of a competent Express in Uttar Pradesh’s Auraiya district on Wednesday. 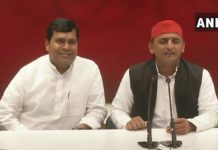 Criticising the Railway Minister opposition said that Suresh Prabhu has utterly failed in his job and has asked Narendra Modi to sack him and appoint a responsible person in his place. 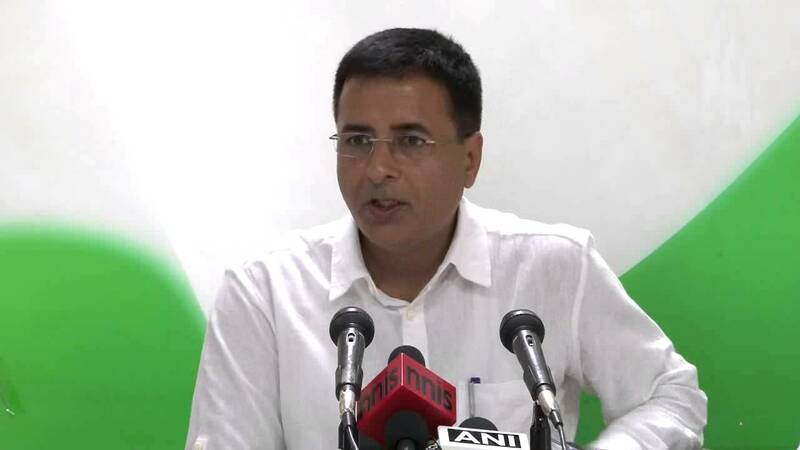 Congress chief spokesperson Randeep Surjewala attacking the railway minister over his tweets of taking the full responsibility said that the responsibility business will not do, either the Prime Minister should sack Suresh Prabhu or his resignation should be accepted. 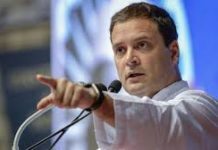 He further added that It is time for the prime minister to come forward and lay down a roadmap of safety for the railways and also urged the PM to appoint a responsible person for the post. Surjewala accused Prabhu saying that the minister was not facing the media he only tweeted that he takes the full responsibility of the accidents. Prime Minister taking strict actions against the incident said suspended a few Railway Board members and sent a few on leave. Responding to this Surjewala said that sending a member of the Railway Board on leave or suspending junior officers was not enough. The PM needs to sack the minister and appoint someone responsible instead. “First sack the railway minister. Appoint a responsible person in his position. Come forward Mr Prime Minister, lay down a railways safety map. Lay down your vision for the railways to be implemented in the next one year,” he said. 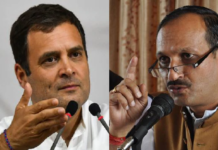 The Congress leader also asked Modi to allocate money for rail safety measures, fill up 1.42 lakh vacant posts in the railways and ensure the safety of millions of passengers. 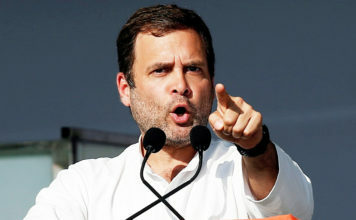 After the incident when the opposition attacked the Modi led government, defending itself it said that there were more accidents witnessed before 2014. Proving data regarding this statement Surjewala said that 28 major train accidents, killing 259 people and injuring 973, had taken place since the Modi government took office. The death toll from derailments in 2016-17 was the highest it had been in a decade. He further added that 40 percent of 1,219 “line sections” of the Indian Railways were congested beyond 100 percent capacity. On 247 high-density line sections, the congestion rate was even higher. Both the Railway Minister Suresh Prabhu and the Chairman AK Mittal had given their resignation on Wednesday. While Prabhu’s resignation is on wait, Mittal’s was accepted making the Air India Chairman and Managing Director Ashwani Lohani the new chairman of the Railway Board on Thursday.